These full overlay 110° degree hinges with their mounting plates (sold separately) can be used in either a frameless cabinet or on face frame cabinet . These high quality hinges just clip on to the mounting plates which are mounted on the cabinet. This makes placement and removal of the doors extremely convenient. 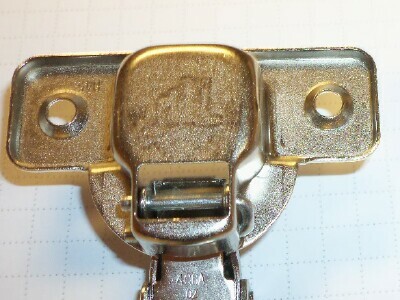 The Vitus or Lama standard 110° hinge is normally interchangeable with the Jfh 110° hinge. 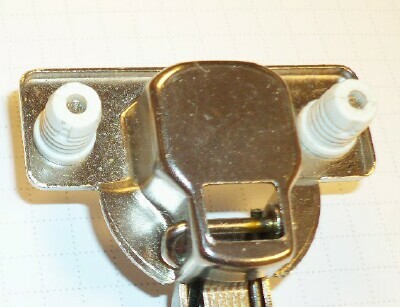 This hinge requires a mounting plate. The 9mm crank hinge can be used with the 6mm mounting plate on frameless cabinets to hang inset doors, or the 15mm can also be used with a 0mm frameless hinge mounting plate for inset applications. The 9mm crank hinge can be combined with the Vitus 400.3458.65 hinge mounting plate to provide inset mounting on a face frame cabinet. What the heck is "hinge crank" and what does it mean to me? The crank is a measurement of left or right offset built into the hinge arm. There are several hinge cranks: 0mm, 8mm, 9mm and 15mm. 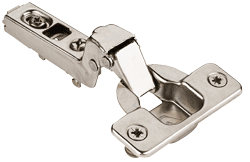 The overlay, or overlap, of a cabinet door is reduced by 8mm with an 8mm crank hinge, 9mm with an 9mm crank hinge, 15mm with a 15mm crank hinge utilizing a 0mm mounting plate. 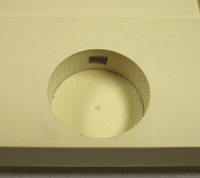 Using this scenario, 0mm would be considered neutral or flat with a full overlay hinge. 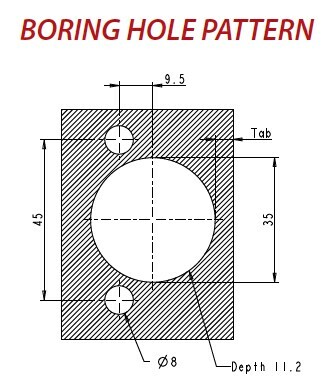 Changing the mounting plate from a 0mm to a 3mm or 6mm mounting plate would reduce your overlay or overlap by an additional 3mm or 6mm. The hinges other than the 0mm crank are easily recognized by the "hump" that creates the 8mm, 9mm or 15mm offset (see pictures below). 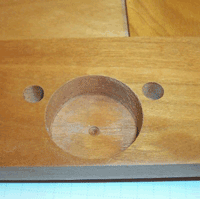 Most traditional cabinets use a 0mm hinge crank unless you are mounting an inset door or have another special application.